3.) The combination of mild insomnia and ADD makes it hard enough for me to get to sleep at night without wondering if Freddy Krueger or the ghost from Paranormal Activity are waiting for me in my closet, thank you very much. I’ve seen my fair share of scary movies, though, because that’s what you do when you’re hanging out with your friends on a Saturday night and you’re not cool enough to be invited to the raging party that you didn’t want to go to, anyway, so you’re glad you weren’t included. (No bitterness here in the least.) 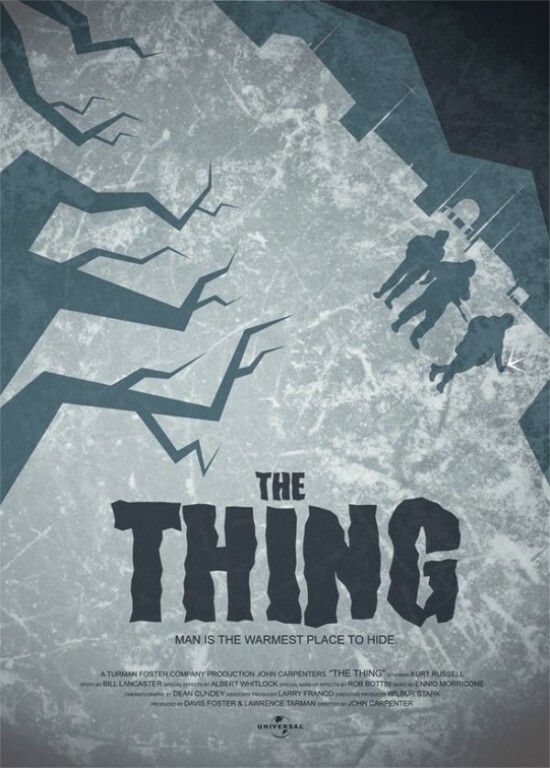 One of the horror movies that made its way into my viewing history somewhere along the line is John Carpenter’s The Thing which I hold up as one of the best the genre has to offer. The idea of a prequel/remake of that film (which is itself a remake of a 1951 version) appealed to me more than any horror movie has in a very long time and while it certainly doesn’t live up to its predecessor, I must say I don’t understand the heat The Thing has taken critically since its release. In 1982, a near accident in Antarctica leads to a startling discovery: buried deep beneath the ice lays an alien space craft and the body of one extraterrestrial. Kate Lloyd (Mary Elizabeth Winstead), a paleontologist with a friend connected to the discovery, is called in to examine the body and help with the excavation. It is a career-making find and one that brings great joy to all the inhabitants of the Norwegian research station where the thing is brought…until it reawakens from its slumber. As the creature creates havoc throughout the facility, Kate soon discovers that it spawns by eating its prey (human or otherwise) and pushing out a replicate copy, leading her to realize that not everyone within the small group is human. As a strong storm pushes in, Kate and American pilot Sam Carter (Joel Edgerton) must fight to destroy the thing before it can find its way to more populated areas. The Thing can’t decide whether it’s a remake or a prequel and that is both the concept that made it interesting to me in the first place and keeps it from reaching its potential once the opening credits roll. It struggles to find its own path while paying homage to a classic and seems stuck within said classic instead of creating new material to work with. As far as scares go, it is lackluster, relying entirely on special effects rather than tension to convey the horror. I think at least some of the blame for this, however, is due to the fact that we’ve become desynthesized. The terror within this version of The Thing is very similar to that within John Carpenter’s version and yet it falls flat at least in part because what scared us in 1982 doesn’t hold the same weight in 2011. I also think that this version is really more of a sci-fi film with a little horror mixed in while I consider the ’82 film to be the exact opposite, a horror movie with a sci-fi undercurrent. If director Mattijs van Heijningen would have delved into the more science fiction-y elements of his film, it could have created its own identity but again, I don’t think he was given the chance to differentiate from the ’82 version. That said, these issues don’t make The Thing a bad movie. It is a perfectly reasonable sci-fi-horror flick that creates a sufficiently dark and creepy landscape and some thrilling if unspectacular action sequences. The actors all perform admirably though like most scary movies, they are hamstrung by ho-hum dialogue and plot points that don’t provide many opportunities to really act. I’ve spoken often of my affection for Edgerton and Winstead is, in my mind, a star in the making. Neither will be able to point to this film as a career highlight on their respective resumes but neither will they need to dread the negative impact that more than a handful of talented up-and-comers have felt when appearing in a horror film. All told, this may not be the scare-fest some people had hoped for but I think it is of high enough quality to make it worth my Friday night investment.